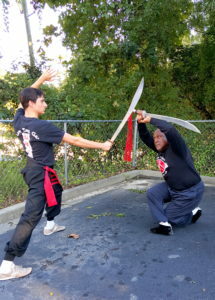 Hung Ga is one of the most popular kung fu systems to originate from Kwang Tung (Canton), China. It is one of the five family systems passed down from the teachings of the Siu Lum (Shaolin) Monk, Gee Shim, who taught five disciples surnamed Hung, Choy, Lay, Lau, and Mok. Hung Ga, believed to be named after Hung Hei Guen, is a powerful style which encompasses the hard, long range offense of the Fu Ying (tiger form) and the soft, short range fluid defense of the Hok Ying (crane form), the evasiveness of the Lung (dragon), the precision of the Sae (snake), the swiftness of the Pao, (leopard) and the application of the Ng Hang Kuen (five element fist). Lau Gar Kuen is a form from the Lau family (one of the 5 main family styles in southern Shaolin kung fu.) The famous masters of this style include Lau Sam Ngan, Lau Jam, and his sons Lau Kar Leung, Lau Kar Fei, and Lau Kar Yung, who promoted hung ga through the Hong Kong movie industry. Originally, these family styles were not taught to anyone outside of the family. Sadly, many powerful family styles have been lost because of their secretive nature, and dying out with the teachers and the times. (Subduing the Tiger in an “I” Pattern): This form teaches the basic stances and techniques of the five animals and five elements, develops wind, and sets the foundation of the Hung style. In some schools, it is traditionally the first form taught in Hung Ga. This is the most famous form of the Hung-Ga style and the core of the entire system. 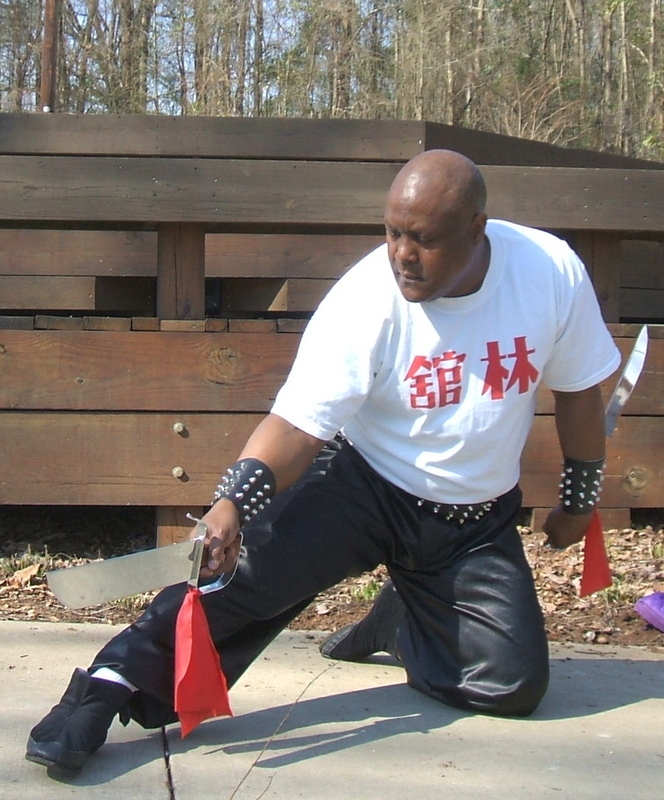 Whereas Gung Ji Fuk Fu Kuen is a basic training form, Fu Hok Seung Ying develops fighting technique and stresses the cultivation of the tiger and the crane forms. The crane develops Bin Ging (whip power – soft power), whereas the tiger develops fighting spirit and fierceness (hard power). This form teaches the techniques of the five animals: the Dragon form develops the Spirit, the correctness of breath, the use of the waist and the twisting of the stance; the Tiger form instills fierceness of spirit, develops clawing techniques and strengthens the bones and tendons; the Crane form teaches grace, control, balance and trains the sinews; the Snake form trains the fingers, promotes chi circulation, control and teaches strikes to the vital points of the body; the Leopard form teaches the tsop choy (piercing jab) and the use of speed and strength. Sap Ying Kuen is an ancient Shaolin fighting form integrating the mastery of the five animals (Dragon, Snake, Tiger, Leopard and Crane) and the five elements of nature (Gold, Wood, Water, Fire and Earth). In Chinese, Sap Ying means the ten forms and Kuen means fist. This is one of the most fierce Shaolin fighting forms in the Hung Ga system. (Iron Wire set): Developed by Tiet Kiu Sam, a member of the Kwang Tung Sup Fu (Ten Tigers of Canton), Tiet Sing Kuen is the most advanced form in Hung Ga. The form trains the body to open and close, and float and sink. Most importantly, this form develops the twelve bridges and the correctness of breath. Otherwise known as the “Muscle Changing Classic”, this form was first taught by Dat Mo (Bodhidharma) to the monks of the Siu Lum Temple (Dat Mo brought Chan Buddhism to the Siu Lum Temple). This form trains the entire body through fourteen “Hei Gung” (“hard breathing” training) and ‘Paida’ (beating) exercises. This form is named butterfly palm for its beauty and grace. 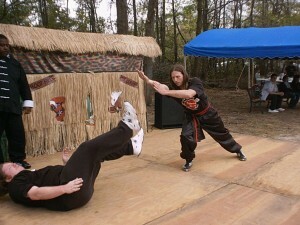 Although it contains a wide variety of techniques such as beautiful kicks and a small amount of ground fighting, it is still relatively short when compared with Gung Jie or Fu Hok. Mui Fa Kuen is an introductory form that is excellent for beginners. The Plum Blossom form is performed in four directions, like the petals of a Mui Fa (plum blossom), which teaches the student to fight in all directions. Most of the techniques are very basic, but very practical. Essentials like punching, kicking, blocking, evading and advancing footwork, and bridge hands are introduced in this form. (Fifth Brother Eight Diagram Pole): This form was created by a famous spear master of the Sung Dynasty, the fifth brother of the Yang family. After losing a major battle, this General joined a temple and became a monk where he adapted his spear techniques to the staff (pole). 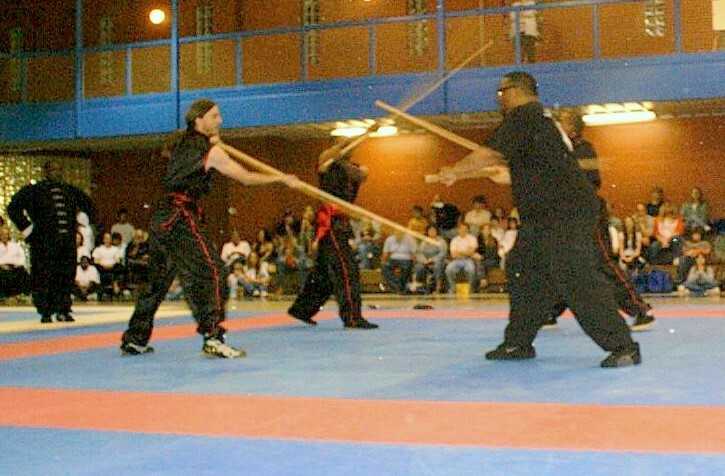 Due to its spear influence, techniques in this form are delivered primarily with one end of the pole, thus it is called a single ended pole form. This form lays the foundation for all long weapons. This is the first weapon taught in the Hung style and lays the foundation for the use of all short weapons. It develops strength, flexibility, evasiveness and precision. In Northern China the straight sword and the spear are the weapons commonly used, whereas in the south the broadsword and the staff are most popular. This form is named as such because both swords are used as a team, one following the other closely, like mother and son. 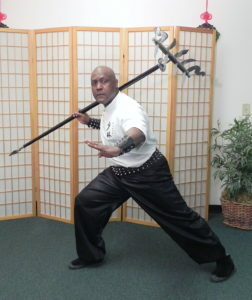 In other kung-fu styles, these swords are called “Butterfly Swords.” This form lays the foundation for the use of all double weapons. 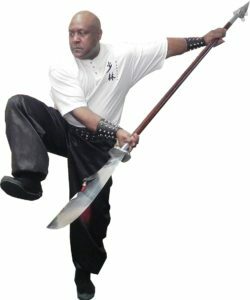 Otherwise known as the “Kwan Do,” this long handled weapon concentrates on large strong movements while cutting and thrusting. Practicing this form strengthens the entire body. The “double-ended” staff, also called the Monkey Staff Sparring set, was believed to be incorporated into Hung Ga by Lam Jou. This set uses a long, tapered staff, known as a “rat tail” staff. A Rat tail staff is faster and has more reach than a conventional staff. This set will teach you how to project your power all the way through a long weapon. The tiger fork is a long handled trident originally used to hunt tigers. Practitioners of this weapon become unusually strong and quick, as this weapon is heavy and difficult to maneuver. This form is reserved for advanced practitioners only.